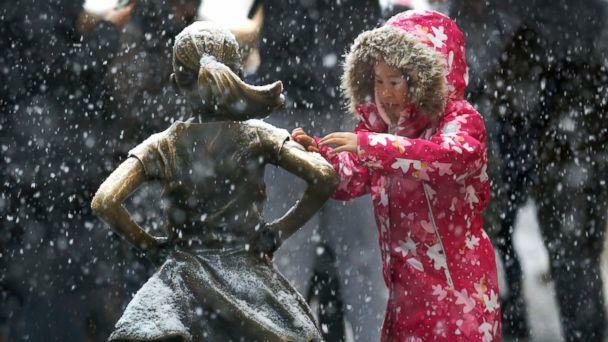 A fall snowstorm wreaked havoc on the East Coast, stranding New York City commuters, canceling more than 7,000 flights, knocking out power to more than 300,000 residents and forcing children to stay at school overnight. 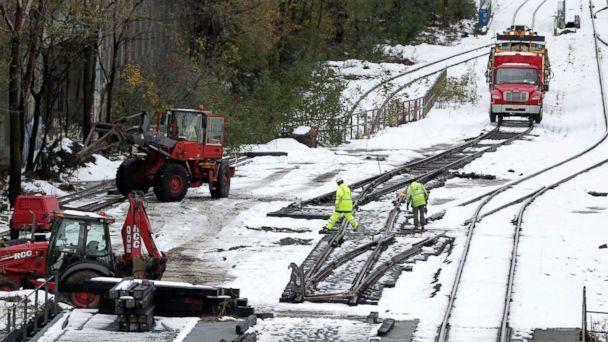 The rough weather has contributed to at least seven deaths in the U.S., The Associated Press said. In Connecticut, a man was shoveling snow off his car on Interstate-95 when another car spun out of control and hit him, the state police said. 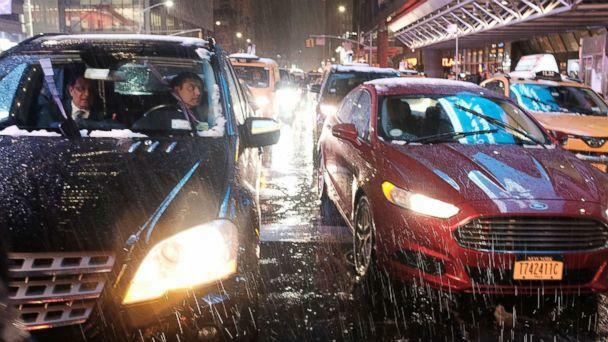 The snow, sleet and rain caused chaos on roadways across the Northeast, especially during the evening commute. New Jersey State Police said they responded to over 500 crashes on Thursday while Maryland State Police said they responded to over 400 crashes. In New Jersey, some students from Liberty Middle School had to sleep at their school in West Orange after the storm kept them from getting home Thursday. Dad James Bondurant told ABC New York station WABC he was "very worried, scared. But once they assured me the kids were safe, it was better for them to be in the school than have to come get them." He added, "It was too crazy. The cars were abandoned, the traffic was crazy. Just a mess." Bondurant's son, 13-year-old Isaiah, told WABC he was "very worried. I called my dad, like, multiple times!" The school tweeted photos of the students' activities during their unexpected sleepover, from late-night ice cream to early morning French toast. One student told WABC she had trouble sleeping. But she added, "I was worried for my dad because I heard there was a lot of crashes, so I didn't want him to come." The middle schoolers made it home by Friday morning, reported WABC. One of New York City's biggest commuter hubs, the Port Authority Bus Terminal, closed on Thursday when it ran out of room, stranding snow-soaked commuters trying to get home to New Jersey. The terminal has since re-opened. New York City got a whopping six inches of snow, the biggest one-day snow total for the city in November since the late 1800s. Philadelphia saw 3.6 inches, its biggest storm since 1967. NYPD Chief of Department Terence Monahan called Thursday “one of the most challenging nights I've ever seen with the way traffic hit, especially in the Bronx and Manhattan." New York City Mayor Bill de Blasio said a 20-car pileup on the George Washington Bridge caused a ripple effect that spread throughout New York City and New Jersey. The out bound upper level to the George Washington Bridge is temporarily closed due to a multi-vehicle accident. New York City saw a 79 percent increase in 911 calls Thursday and a 162 percent increase in collisions, said Monahan. It was a “horrible experience” and “the perfect storm,” New York City Mayor Bill de Blasio told local news channel NY1 on Friday. 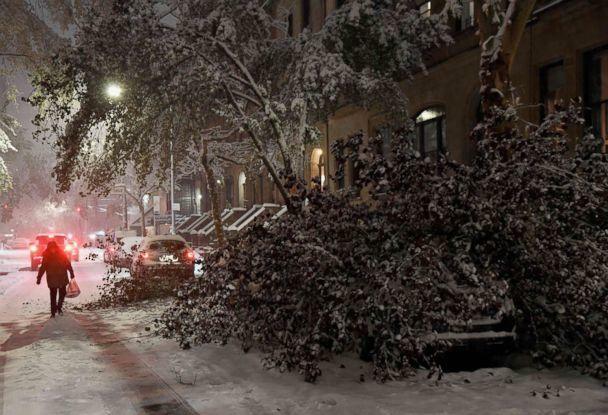 De Blasio on Friday afternoon promised a full review of the city’s handling of the storm. De Blasio told reporters that he shares New Yorkers’ frustration with the storm, but said that he doesn’t think it's fair to blame the city agencies. The mayor said there was no indication that the storm was going to dump more than one to three inches of snow until about 12:30 p.m. on Thursday, and that at that point it was too late and difficult to get information out to New Yorkers. 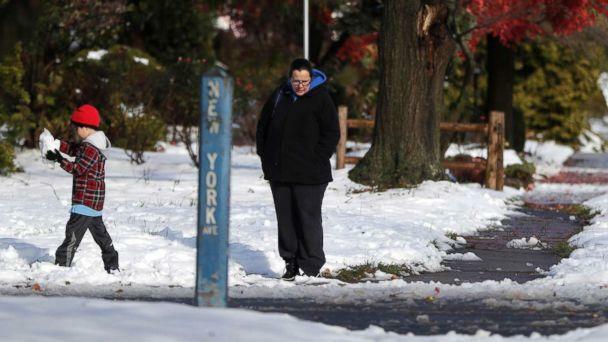 New York City Sanitation Commissioner Kathryn Garcia said the agency was planning for one inch of snow, which would not have necessitated plows on the roads. However, by the time they recognized the full scope of the storm, all 700 salt and sand spreaders and between 350 to 700 of the city’s 1,600 plows were out.